I replaced a Vltor stock with this Hogue stock on my Spike's Jack lower. Fit's, looks better. I've used Hogue Grips on several of my revolvers and they can't be beat. Great product. Thanks again. I couldnt wait till I got this fixed buttstock off my AR and put this new one on!! Now my AR is complete. Thanks!! I ordered the wrong one. I need one that's commercial spec. And i ordered military spec. Can i exchange it. Thanks for sharing your feedback, Antonio. We're glad you're satisfied with your purchase. Cheers! Did a lot of reasearch looking in to the differnt types and styles of buttstocks. After finding this one i was impressed with the the look and style as well as the differnt options for attaching a sling. This was easily installed and has a tight fit on the buffer tube unlike the factory one. 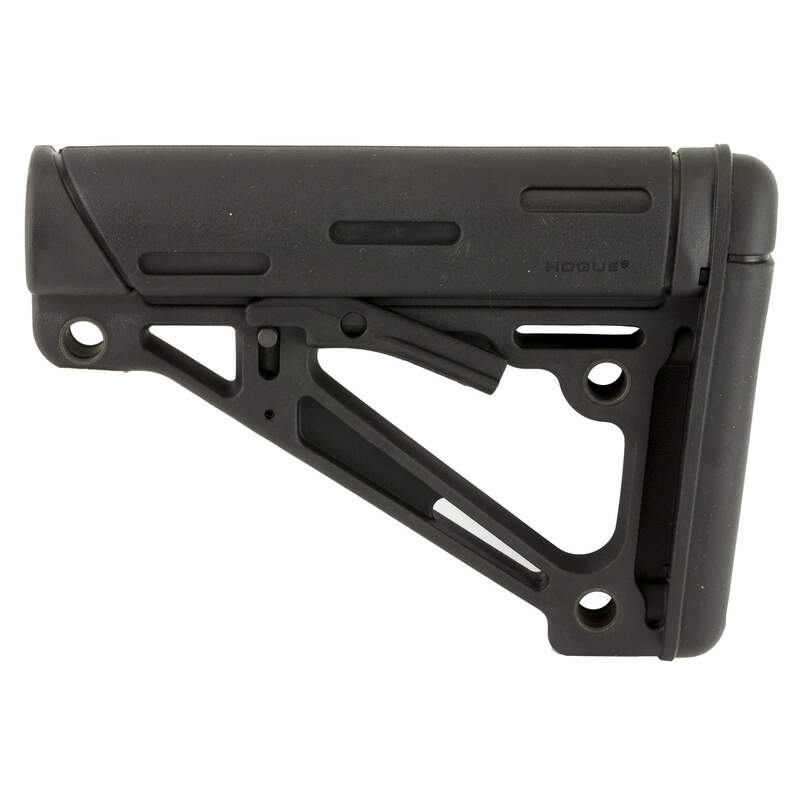 Great stock, much better than the hard plastic knox that came with my rifle. Quick shipping too.